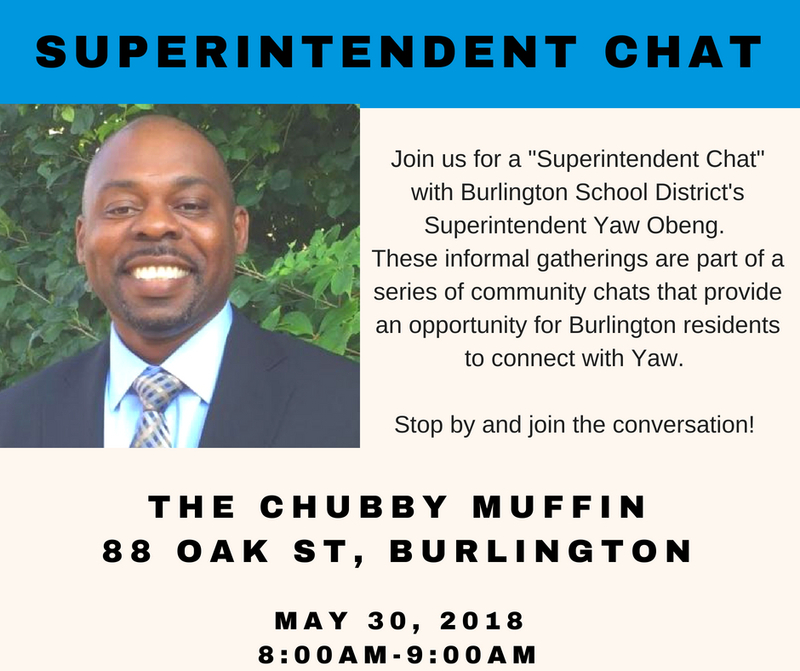 Join us for a “Superintendent Chat” with Burlington School District’s Superintendent Yaw Obeng. These informal gatherings are part of a series of community chats that provide an opportunity for Burlington residents to connect with Yaw. We’ll be at The Chubby Muffin from 8 AM until about 9 AM. Stay for a minute or the whole hour, by a coffee, or not! We hope you can stop by and join the conversation! See who is attending or let us know you’re coming here.